This is Part 4 of a seven part series presenting 28 fascinating and beautiful Ligurian villages of every type - hill towns and castle towns, walled towns and fishing villages. Each of these small towns has qualified for membership in one of two nifty Italian organizations: The Most Beautiful Villages of Italy I Borghi Piu Belli d'Italia - and The Orange Flags Bandiere Arancioni. Read about these initiatives below in More Info. You can see all 28 towns on this Google map: Beautiful Villages in Liguria Map and they are listed below as well. They are described from the French border toward La Spezia so you can easily integrate these beautiful towns with visits to San Remo, Portofino, Genoa, or the Cinque Terre. Each town has a story to tell and some friendly people ready to tell it. While you can't tour them all, just visiting a few will add an authentic Italian flavor to your trip to Liguria. For information about visiting Liguria in spring, see our story Spring Weather in Liguria. Along the crowded Ligurian coast near Albenga, there are plenty of modern things to ignore. Flower growing sounds so pretty, but the reality of gleaming industrial size greenhouses is stark and almost barren. Flower growers and tourists alike depend on an ugly road system that blight parts of the cities and the landscapes. For relief, there's a lovely ancient town, Borgio Verezzi, one of the famous Borghi Piu Belli d'Italia. Borgio Verezzi is a town of two parts, and each of those parts has its own subdivisions, but with a total population of fewer than 3,000 people, it doesn’t get too schizophrenic. Borgio is the lower town, just back from the beach, and Verezzi is about 500 feet up the hill. We’ll skip over the Roman and Charlemagne periods, and go right to 1385, when Borgio Verezzi was given to Pope Urban VI to help pay his ransom from Naples. Once under new management, Borgio Verezzi began a Golden Age of prosperity, with elected officials and a separation of church and state. The idyll lasted until the coming of Napoleon, and some of the civic traditions of that time are kept today. Of course it was a time of violence, pirate raids, and spirited defense, but the troops and walls were stalwart, and in the 1700’s Borgio Verezzi received permission to build a church on the remains of the fort. No wonder this time is remembered with nostalgia. When you visit today, there are a number of great things to do and see. The upper village of Saracen on the Verezzi hill is particularly evocative, with joined houses of the local pinkish stone, built with Arabic influences. The views of the Liguria coast are extensive. For a good description in English, see Borghi Italia. Down in the town of Borgio, you can take a Nature Trail that starts near the Tourist Office. It is marked with signs indicating areas of interest. It’s an all morning affair, with a variety of terrain and gorgeous views. For details, see this English translation at Comune Nature Trail. If that seems a bit much, there’s also a Culture Trail of just 3 km, details at Comune Culture Trail. But be sure to leave some time for the cave! In 1933 three little boys followed a stream and found a huge cave full of stalactites, stalagmites, stone drapes, and spires in subtle colors – the most colorful cave in Italy. Some of the formations are so delicate that they vibrate to the sound of voices. The trail through the cave is 800 meters long, the cave is open year round, morning and afternoon (with the midday pause), the entrance fee is 8E for adults. More at Grotto of Borgio. Popular Finalborgo has a little of everything – the original 15th century town is still surrounded by the ancient town walls, broken only by evocative gates that date back to 1448. It has churches, ruins, excavations, and a killer Archeological Museum. The area makes a good base for exploring: families come for the nearby beaches, climbers for the limestone mountains, bikers for the trail riding, and tourists for the sense of place and history. Now a frazione of the larger town of Finale Ligure, Finalborgo was the historic center and is located so that the inhabitants could quickly take to the mountains during Saracen raids. The borgo is at the confluence of the Pora and Aquila rivers, whose floodplains constitute a natural moat. And Finalborgo is really charming, lending itself easily to strolling, window shopping, and a casual lunch. There are mansions and churches, wonderful examples of early Renaissance Ligurian architecture, cobbled streets, shops and restaurants - a living and active village. Picturesque Ligurian caruggi in Finalborgo. In the countryside surrounding Finalborgo, there are amazing artifacts of European prehistory, most particularly in the famous cave Arene Candide. While excavating the cave, archaeologists uncovered a tomb containing the remains of an adolescent male holding a long flint, alongside a gold headdress, jewelry and vessels – the opulence led discoverers to refer to it as the tomb of the “Young Prince”. It dates to 25,000 years ago, and is considered the most beautiful Paleolithic tomb in the European Union. The Paleolithic ruins were rich in ceramics: archeologists recovered hemispherical cups, vases and spherical flasks, decorated bowls, and polished axes, bone tools and weapons. Many of these artifacts are preserved in the terrific Museo Archeologico Del Finale, housed in the complex of Santa Caterina. For more information use the Museum's Italian website: Finale Museum of Archeology. For more Finalborgo information in Italian try Finalborgo.it and the turismo section of the Comune site: Finalborgo Comune. Torre dei Quattro Canti, Noli. Noli is a little gem that you should visit. It's one of the best preserved medieval towns along this coast, and it sits right by the beach. Imagine - this little walled town once was a maritime republic that held its own against Genoa, against Pisa, against Amalfi. Were it not for its small harbor, instead of lazy little streets there would be the energetic boulevards of a city. You couldn't explore the byways in peace, and the beach would be a memory. But for better or worse, large ships and small harbors don't mix, so gradually Noli became quaint, and now gracefully endures men and women wearing small bathing suits. clock tower, arched windows and giant sundial. The nearby Loggia del Comune with its large porticos which would harbor boats in times of danger. The Cathedral of Saint Peter, a medieval church in Baroque apparel, which has a characteristic Ligurian polyptych by Brea which you ought to see. One of the surviving towers called the Torre dei Quattro Canti, 120 feet tall. The Porta San Giovanni, the 14th century gateway in the walls. The Oratoria of Sant'Anna from 1771 which has ornate miniature ships helping decorate inside. Finally, if you miss San Paragorio, history will not forgive you. 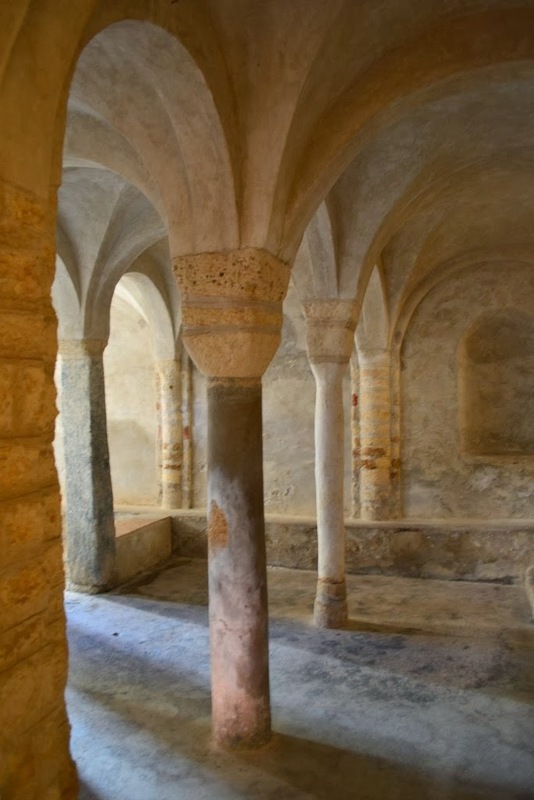 This church is from the 11th century - a thousand years ago - and is one of the finest Romanesque churches in Liguria. Outside you can admire a superb example of the first pan-European architectural style. Inside there's a re-purposed Roman sarcophagus, a 13th century bishop's throne, an ancient and huge cross, and really old fresco fragments. The Comune of Noli website has a Turismo & Cultura section with a suggested itinerary and other information in Italian. I Borghi Piu Belli d'Italia - The Most Beautiful Villages of Italy - is an independent association of 206 Italian towns that meet criteria of architectural integrity, quality of life, as well as artistic and historical heritage. 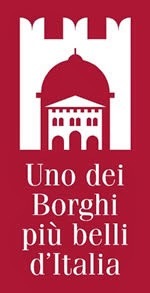 The borghi have joint promotions, joint festivals, and a guide book. The website I Borghi Piu Belli d'Italia has nice English descriptions of each of the localities making it a useful tool for planning travel to other parts of Italy. Eighteen of the villages wait for you in Liguria. 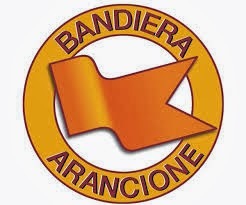 Bandiere Arancioni - The Orange Flags - is an initiative of Touring Club Italiano to identify localities of excellence in Italy. These Italian towns must pass numerous tourist-oriented criteria related to welcome, attractions, services, structure, and environment. The website Best Small Towns Italy provides information about each town and the process in English, and in Italian Bandiere Arancioni tells all. Thirteen towns in Liguria have been awarded the Bandiera Arancione. 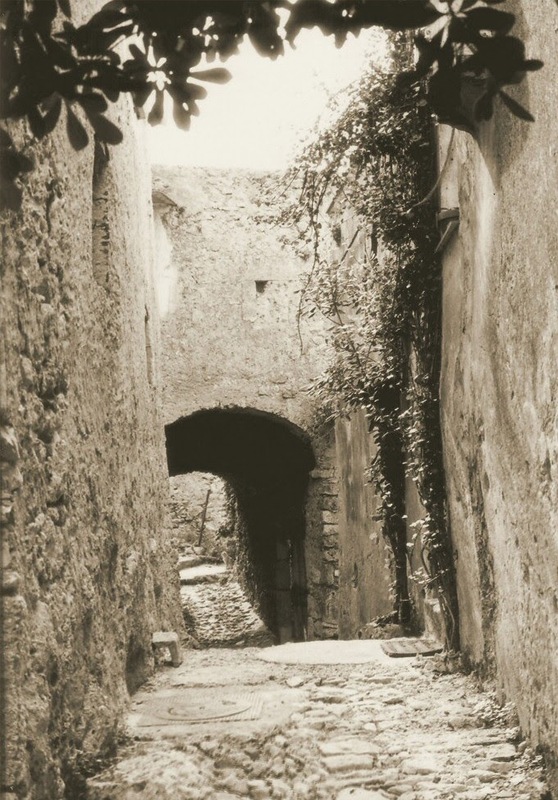 Index to The Most Beautiful Villages in Liguria - Click the Part Number. Towns in the seven parts.